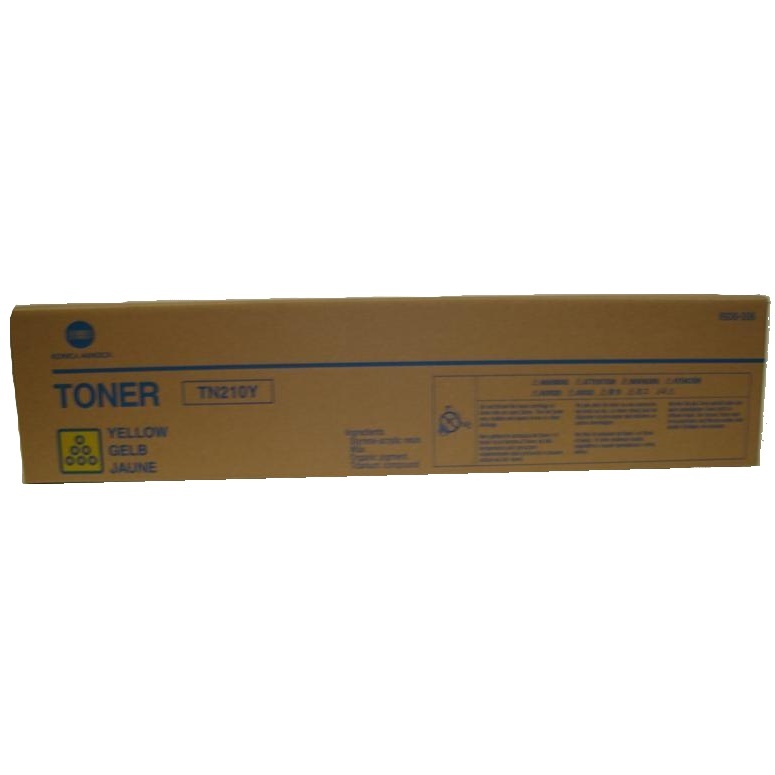 Genuine OEM Konica-Minolta Toner Cartridge, Yellow, 12,000 page yield. Konica-Minolta part number: 8938-506, TN210Y. Color Laser Toner Cartridge compatible with Konica-Minolta bizhub C250, C252. Compatible Konica-Minolta Toner Cartridge, Yellow, 12,000 page yield. Replaces Konica-Minolta part number: 8938-506, TN210Y. Color Laser Toner Cartridge compatible with Konica-Minolta bizhub C250, C252. Compatible Konica-Minolta Toner Cartridge, Cyan, 12,000 page yield. Replaces Konica-Minolta part number: 8938-508, TN210C. Color Laser Toner Cartridge compatible with Konica-Minolta bizhub C250, C252. Compatible Konica-Minolta Toner Cartridge, Magenta, 12,000 page yield. Replaces Konica-Minolta part number: 8938-507, TN210M. Color Laser Toner Cartridge compatible with Konica-Minolta bizhub C250, C252. Compatible Konica-Minolta Toner Cartridge, Black, 20,000 page yield. Replaces Konica-Minolta part number: 8938-505, TN210K. Laser Toner Cartridge compatible with Konica-Minolta bizhub C250, C252.